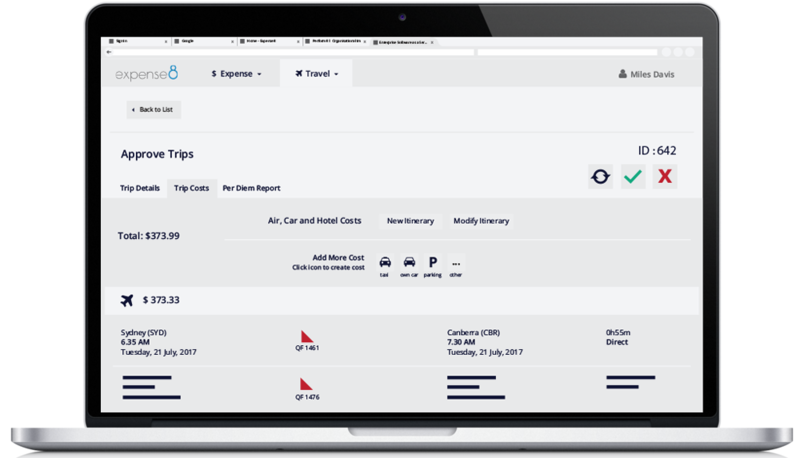 Expense8's Corporate Travel Module allows you to book & approve corporate travel in an easy and simple way. 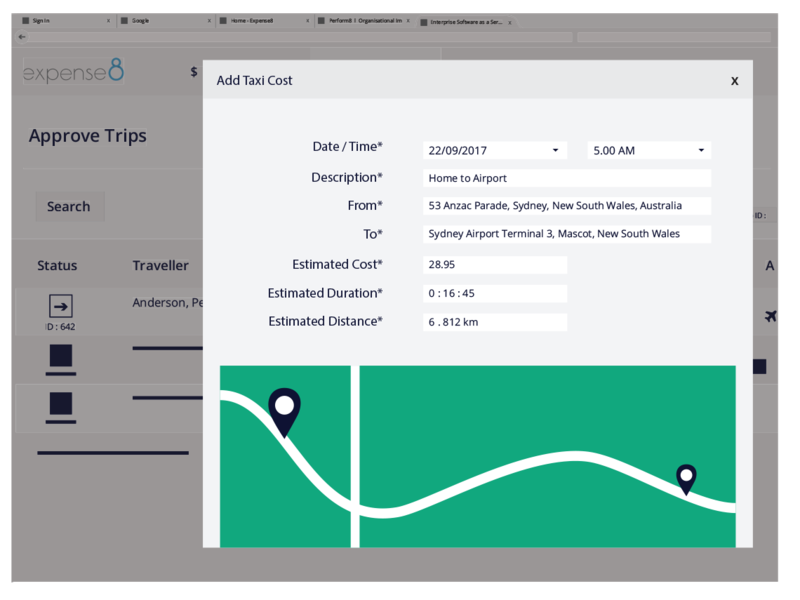 The Expense8 Corporate Travel module offers a unique Pre-Trip Approval function that let’s your employees easily plan and book corporate travel. The function also includes an easy and secure approval process for both managers and employees. Here are three key features that highlights the benefits. 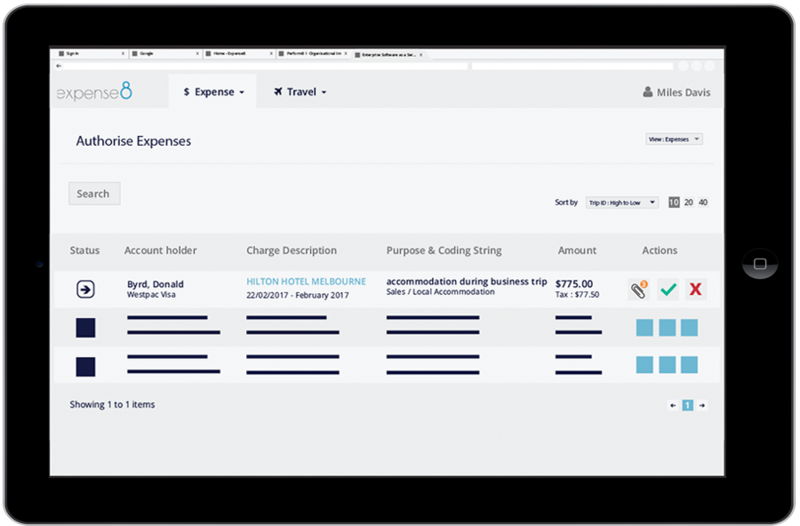 The Expense8 Corporate Travel module integrates with your organisation’s specific rules and regulations for corporate travel. The module also automatically calculates your employees’ travel allowance based on different parameters, such as destination and employee type. The travel allowance data can be exported to a different finance system, which in turn can trigger an electronic funds transfer. Receive accurate travel costs from different sources, allowing your employees to leverage real-time information when creating a trip for approval. The Corporate Travel Module assists you to estimate costs through its integration with Google Maps and a taxi fare estimation service called ‘Taxi Fare Finder’. Calculate your own transport costs. The smart calculator will combine fuel and parking costs, coupled with taxation data, to give you the most accurate trip estimate. The Corporate Travel module provides managers with sufficient, high-level, information, making it easy to approve your employees’ corporate travel. Once a trip has been approved, your employee can easily access AeTM to finalise a booking. AeTM does not allow for any trip to be booked until it has been approved in Expense8. Trips can be routed for approval by different managers depending on destination, users, and other factors. This way, the module can accurately reflect your organisational structure.